For such a small town, Lake Placid, NY has a surprising range of activities and things to do due to its location in the heart of Adirondack Mountains, one of the most picturesque and beautiful regions in the country. With dense old forests, crystal clear lakes, towering mountain peaks, waterfalls, and gorges, nature has been very generous to this beautiful destination. Here are the best things to do in Lake Placid, NY. The Village of Lake Placid is breathtakingly beautiful even without serene Mirror Lake with its clear reflection of stately trees and the quaint town. No motor vehicles are allowed on the lake so it is always peaceful and quiet, perfect for leisurely paddling in your kayak or canoe. There is a beautiful 2.7-mile path all around the lake, allowing walkers not only to enjoy the views of the lake and surrounding forests but also to get to know the town better. There is a lovely little beach on one end, which is the starting point of the swimming portion of the Ironman Triathlon. You will also pass the Winter Toboggan Chute, perfect for sledding in the winter. Once the Mirror Lake is frozen, it becomes one large skating rink for the whole town to enjoy. Kids and adults too love to slide down Toboggan Shute and end up on the ice covering the lake. Mount Jo is a 2876-foot mountain in the Adirondacks in the High Peaks region about seven miles from Lake Placid. At the foot of the mountain are the historic Adirondack Loj and lovely Heart Lake. Two trails lead to the mountain summit, a short and steep one and another that is considered easy. However, don’t be fooled – it is only easy if you are in very good shape. But, compared to other mountain hikes in the Adirondacks, this one is a good introduction and preparatory workout. 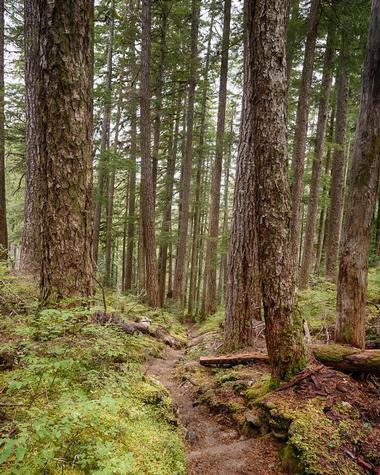 It is about 2.6 miles round trip on a well-maintained trail. It is especially beautiful during fall when the trees are bursting with colors. The climb, which takes about one hour, ends with a 360 degree-view of the High Peaks Region and Mount Marcy, Cascade Mountain, Indian Pass, and Algonquin Peak. 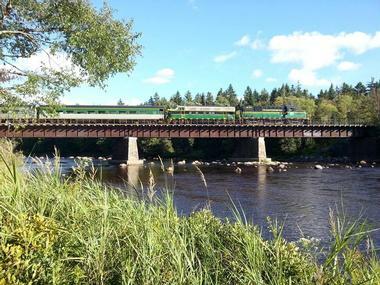 Adirondack Scenic Railroad is located in the Adirondack Park and operates on the tracks of the former New York Central Railroad Company that go through the scenic Adirondack Mountains between Utica and Lake Placid. The railroad is operated and maintained by the not-for-profit Adirondack Railroad Preservation Society. Most of their staff members are volunteers passionate about preserving this important piece of American history. They organize a range of fun excursions such as Beer and Wine train, a fun trip in the air-conditioned train cars that take passengers through some of the most beautiful scenery in the country while they are enjoying great beers and wines with music and snacks. A Loomis Gang Train Robbery is a re-enactment of the famous robbery by the dangerous Loomis gang that kids will love. The railroad tracks are used for trains in spring, summer, and fall and as trails in the winter. 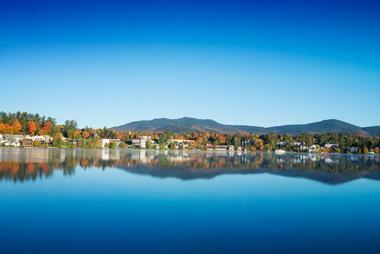 Lake Placid is magnificent from any vantage point, but really the best way to see and enjoy it is by being on it. Whether you just want a leisurely boat tour or are an adrenaline junky and need a bit of speed, ADK Aquatics has plenty of fun planned for you with their wakeboard, waterski, tubing, and wakesurfing. Whether you are highly experienced in watersports or are trying it for the first time, they will give you one-on-one training by one of their highly experienced instructors. Gliding over the clear lake waters with the nearby towering White Mountain is an experience you will never forget. If you prefer more leisurely pursuits, try tubing while being towed by the ADK’s world class Super Air Nautique towboat. 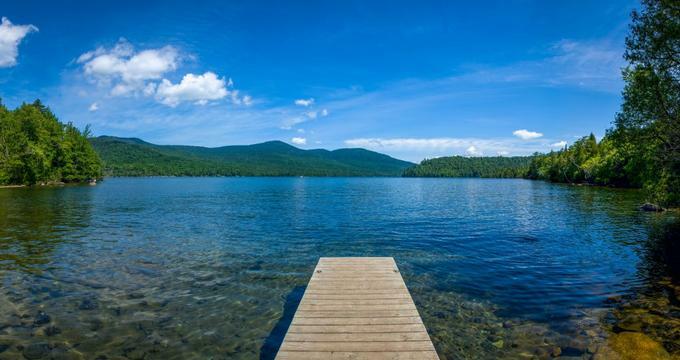 Each trip includes a visit to one of the great Adirondack camps, and you will also hear stories about the history of the lake and the mountains. Imagine sliding at breakneck speed in a tiny bobsled down the track used in 1980 by the Olympic bobsled athletes, the best bobsledders in the world! All the facilities Olympic athletes used during the Olympic Games held in 1980 in the Whiteface Mountains are still in use today, and you can, just for a while, pretend to be one of those athletes. Sitting between the professional bobsled driver and brakeman, you will start at the half- track normally used by professional sliders from all over the world. The speed and the rumble of the sled will take your breath away, and you will love every moment. If you want to go again, and it is very likely you will, they will give you 20 percent off. In summer or winter, Brewster Peninsula Trails are great for stretching your legs, snowshoeing, mountain biking, running, hiking, cross country skiing, or just strolling along and enjoying the nature and the view of the lake. It starts at the gate with Corridor Trail, which starts by going down slightly and continues to descend until it flattens out at the point where it meets three other trails. It is about .75 miles long, and it takes less than 15 minutes to walk it. Lake Shore Trail goes along the shore of Lake Placid, ending at a dam. It is fairly rocky and uneven but great fun and quite scenic. It is 0.4m long, adding up to 15 minutes of travel time. You can also take Boundary Trail and Ridge Trail. Located in the beautiful mountain lodge, the Cascade Cross Country Ski Center serves as Lake Placid’s full service Nordic Center. It also has the very popular Knickers’ Bar and Restaurant and a bunkhouse that can fit 30 people. The cozy great room is the place where skiers gather in front of the fireplace or on the spacious terrace after a day on the slopes. The center maintains about 20 kilometers of perfectly groomed trails for snowshoeing and cross-country skiing. The trails connect with the Jack Rabbit trails and, at Mt. Van Hoevenberg, with Olympic trails. The center’s lodge is known as a place for many local social gatherings and celebrations, including a full moon celebration with brightly lit ski trails, hot dogs, hot chocolate, and beer served all along the trail. Lake Placid Herb Brooks Arena became a household name all over the world when the US men's hockey team took the gold medal after winning the game against the Soviet Union. There were other miracles in this wonderful arena with three indoor and one outdoor skating arenas – 16-year-old figure skater Sonja Henie became an Olympic gold medalist in 1932, local Jack Shea and his teammate Irving Jaffee won two gold medals the same year, and in 1980 Eric Heiden won five. It is also a place where locals can skate all winter long and occasionally bump into one of the great skaters such as Scott Hamilton or Rachel Flatt. Every year, this 7,700-seat arena named after the Miracle on Ice coach proudly hosts international and national figure skating competitions, Stars on Ice hockey, and many other events. Only a short drive from Lake Placid and about a mile from Whiteface Mountain Ski Resort are four magnificent waterfalls spilling over rocks into a dark deep crevice that nature carved over a billion years ago. There is a half-hour trail to the Gorge that is easy and suitable for anyone, and it is by far the most beautiful trail in the area. You will cross over sturdy bridges, walk on glass floor walkways, and stroll along nicely groomed paths and trails. There is even a wheelchair accessible path. An easy half mile round trip along the nicely maintained trail brings visitors to steel bridges and precarious walkways from which they have a close view of the falls. High Falls Gorge is equally fascinating in the winter, but you will need a pair of snowshoes or Yaktrax to see the waterfall’s ice formations. The 50 km long Jackrabbit Trail that was founded in 1986 offers a great opportunity for scenic and fun cross-country ski touring. The trail, which stretches from Keene, Lake Placid, and Saranac Lake to Paul Smith, connects populated areas and four ski centers, and it includes longer sections of fun wilderness skiing. Adirondack Ski Touring Council members are in charge of the construction and maintenance of the Jackrabbit Trail. Skiers do not have to pay a trail fee while passing through Whiteface Club, Cascade Cross-Country Ski Center, and Lake Placid Club trails if they stick to the well-marked jack Rabbit Trail. Snowshoeing is allowed, and the best snowshoeing is on the section of Old Mountain Road between Whiteface Inn Lane and the lean-to and between McKenzie Pond Road and McKenzie Pond. John Brown Farm in North Elba, Lake Placid is the home of John Brown, the Underground Railroad conductor and insurrectionist who moved to the Adirondack Mountains in the hopes of establishing a community where freed slaves and abolitionists could live in peace and work on land. After assaulting the U.S. Arsenal at Harper's Ferry, Brown was captured, imprisoned and hanged on December 2, 1859. He was buried in front of his home in North Elba on December 8, 1859. HIs simple 1855 house is still furnished with period furniture and personal belongings that belonged to the Brown family. Visitors are invited to look around and enjoy beautiful trails in the surrounding area. This National Historic Landmark and New York State Historic Site occasionally has special events, lectures, and Civil War encampments. 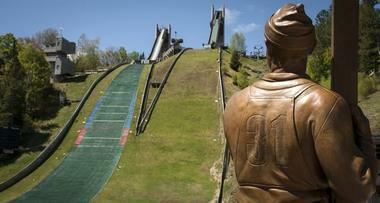 Lake Placid is the only place in North America to have hosted two Winter Olympics. The Lake Placid Olympic Museum celebrates both the 1932 and 1980 Winter Olympics and their effect on Lake Placid and the region. Located in the Olympic Center in Lake Placid, the museum, which opened in 1994, holds a diverse collections of objects linked to the games such the "Fram III" bobsled from the 1932 Olympic Games, the skates used by Jack Shea in 1932, and various memorabilia from the 1980 hockey team Miracle on Ice. The museum hosted the Olympic torch when it went around the United States before the 2002 Olympics in Salt Lake City, and it hosts annual Lake Placid film forum. Adirondack Mountains and Lake Placid have some of the most magnificent scenery in the country. With Adirondack Flying Service, a family business that opened in 1968, you get the opportunity to see the lake and surrounding mountains from a completely different perspective. 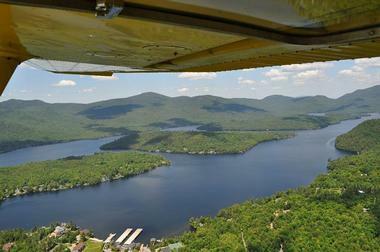 You can choose one of several options in their 20-minutes scenic flights in the Lake Placid area in the seven-passenger Cessna Golden Eagle. The High Peaks trip offers a spectacular view of the Lake Tear-of-the-Clouds, Henderson Lake, Lost Pond, Indian Pass, Avalanche Pass, and much more. Olympics flight offers a view of the Village of Lake Placid and the Olympic Venues. The Lakes trip provides a close up view of the Mirror Lake, Lake Placid, the Olympic Village, McKenzie Pond, and the surrounding area. There is something romantic about gliding along a snowy path through the forest in a sleigh pulled by a couple of wonderful horses. Lake Placid Sleigh Rides will take you to explore the Olympic Village while sipping a cup of hot cocoa. During the day, you will have fantastic views of the High Peaks, Sentinel ranges and the Ski Jumps. On a crisp, clear night, you will be able to see millions of stars while snuggled under a warm blanket. With lanterns to light the way, you won’t be able to find more romance in the mountains. 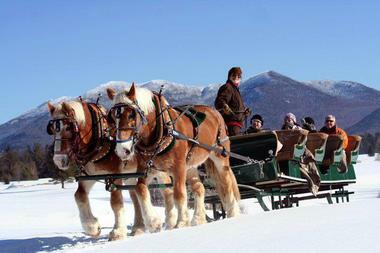 The sleighs are pulled by healthy, strong Belgian draft and Clydesdale horses, which will happily pull the sleigh through the scenic The Lake Placid Club, over small hills, through the fields and forest, and over many streams. The experience is equally unforgettable whether the light snow is falling over the path or the fields are covered in wildflowers.